We need a radiologist or an OB/GYN to read about 10-20 limited OB ultrasound scans per month using a simple online log-in! Boutique Assistant – 17 years old & up. Assists clients in the Boutique (where they get free maternity & baby clothing & items). Receives donations & keeps Boutique stocked. About 10 hours of training is required. Client (lay) Advocate – 21 years old & up. Speaks privately with clients about their situations, feelings & needs. Educates on options, God’s plan of salvation & living, offers resources & referrals, & prays with clients. About 25 hours of training is required. To find out more, attend our Center Volunteer Introduction! 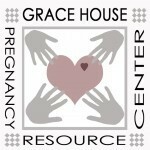 For info or to sign up for the Introduction to Center volunteering, please contact us at NSBDirector@GraceHousePRC.org or 386-957-4811 to set a time to meet & find out what volunteer opportunities are available. A chance to ask questions & learn how to get started! Coming to the Introduction Class doesn’t obligate you to volunteer nor does it guarantee a volunteer position will be offered to you. Babysitters -16 years old & up. Watch & care for children of all ages during a 4-hour shift. Some experience needed. Groups to do Mission Projects- Youth & adults willing to clean & do office projects. Center cleaning help is needed- work out a time when you are available. Men 17 & up who are handy are needed to do maintenance & landscaping projects.